Yes, I’m still in Cancun, Mexico on my little rock and roll tour. The days are filled with practice time and the evenings are filled with doing two shows a night. This leaves me with some quality late night time to get out on the beach and look up at the constellations of the Cancun sky. 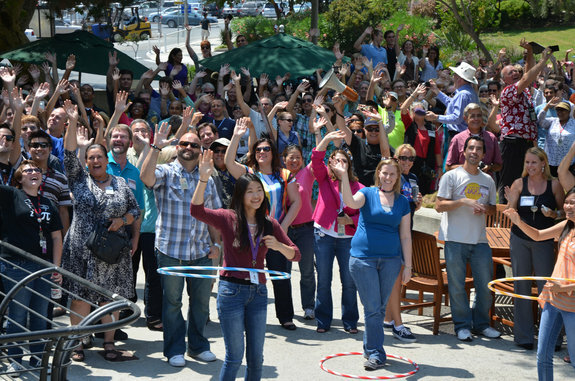 Staff at JPL celebrate Earth’s snapshot. Last week, people all across the world waved at the skies in a group celebration of Earth’s portrait shot from 898,000,000 miles away. The Cassini spacecraft has been orbiting Saturn for nearly a decade, and in fact most of the dazzling images you’ve seen of Saturn, its rings, and its moons were captured by Cassini. On Friday, July 19, 2013 Cassini’s cameras captured images of Earth, the Moon, and Saturn in the same image frame. This wasn’t the first time Earth’s picture was taken from the outer Solar System, but this time the event was made known to the public in advance of its happening. “Wave at Saturn” images flooded social media sites as waving people took pictures with hula hoops to show their excitement and support. 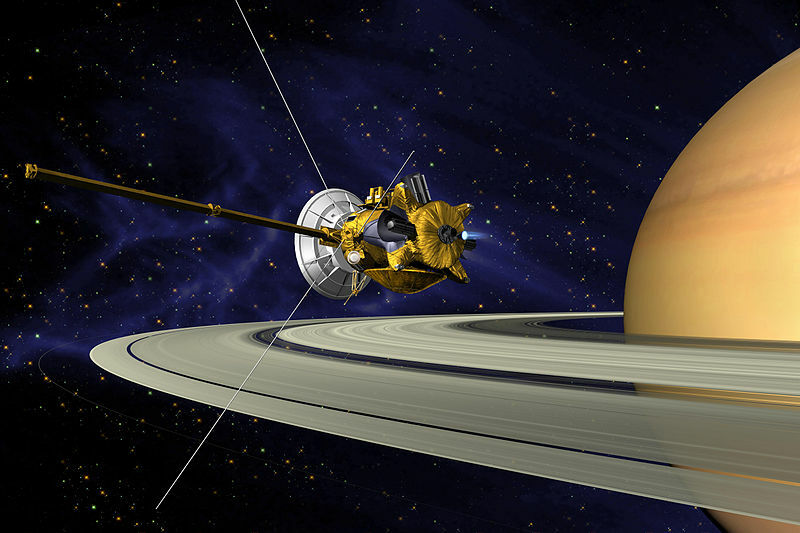 Artist’s conception of Cassini orbiting Saturn. Today we saw the first images released of Saturn and Earth. It has taken several days for the images to be ready. Why is this? 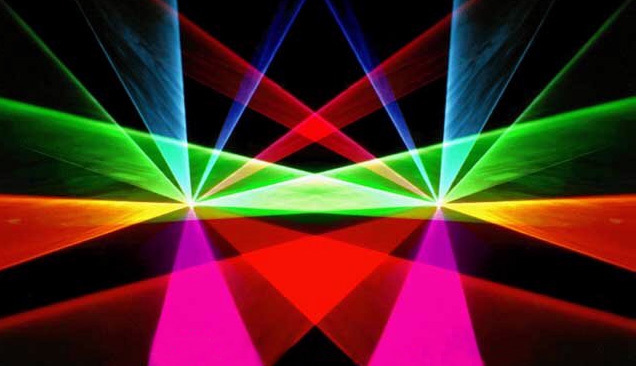 Have you ever tried to take a picture in the dark? It’s difficult… You need to keep your camera still, and leave your shutter open for a long time to capture more light. The same idea applies here. 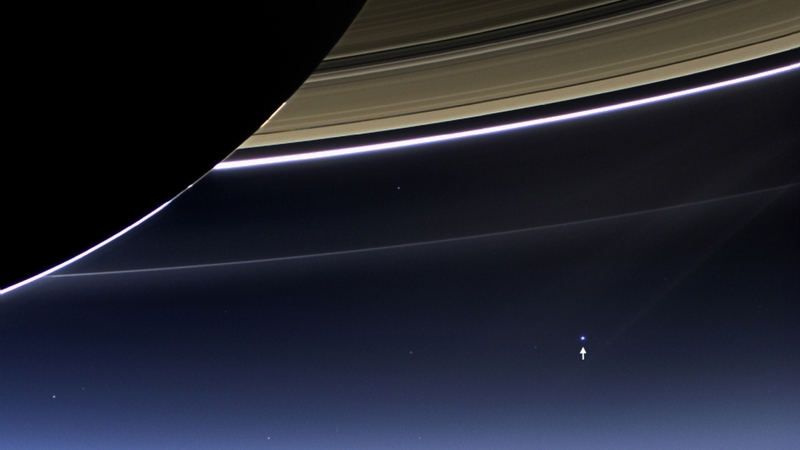 Earth was 898 million miles away from Cassini when these pictures were taken, showing up as only a faint blue dot. To add to the challenge, bright and shiny Saturn sits in the foreground of the image. On top of this, Cassini is in motion as it orbits Saturn. Imagine trying to take a picture of a car with its headlights on and a tiny firefly sitting in a tree behind it, while riding a bicycle past the scene…. Cassini accomplishes this by taking hundreds of images. These images were sent back to humans on Earth for processing. For the past several days, scientists at NASA have been combining these images together with special computer software. To put it simply, the images are layered on top of each other and combined to form a single image. The first image released by NASA of Earth, Moon, and Saturn’s group photo. Earth is marked by an arrow. The moon is barely visible as a faint smudge to the lower right. This image alone was created by combining over 200 individual images captured by Cassini. Pluto’s New Moons Have Names! This week the International Astronomical Union (made famous in the eyes of the public for reclassifying Pluto as a Dwarf Planet) gave Pluto’s newly discovered moons their official names. Previously known as “P4” and “P5”, these tiny moons are now named Kerberos and Styx respectively. The names were the result of an online naming contest where people could suggest and vote on their favorite names. 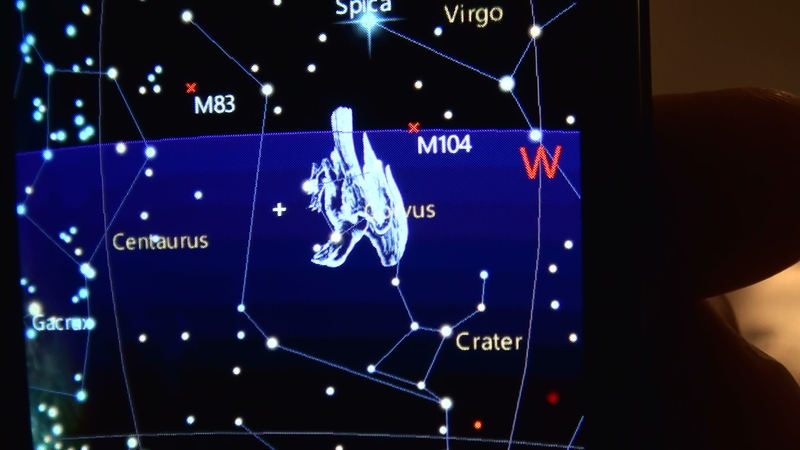 You may have seen news a few months ago that one of the moons was named Vulcan (after the Roman god of fire, but also the native world of Dr. Spock from Star Trek). Vulcan won the naming contest, but in the end the official decision was up to the IAU. Here at the planetarium we were a little bummed about the decision to cast out the vote for Vulcan as a name.. The IAU wanted to keep with the Pluto/Underworld theme and Vulcan just didn’t fit in with that! Pluto was the Roman god of the Underworld and it’s largest moon was named Charon, after the ferryman who transported souls across the river Styx. 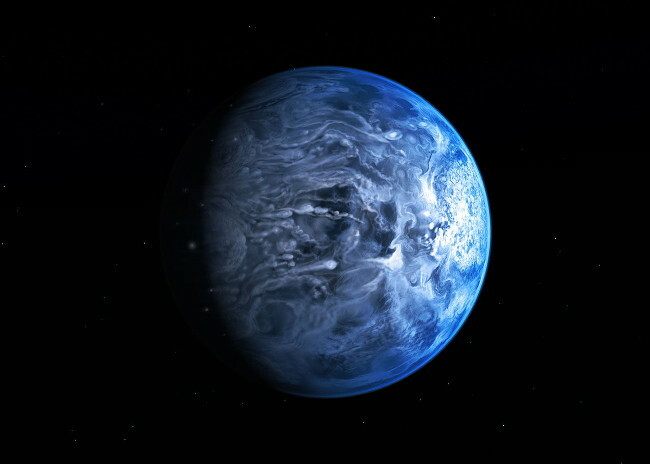 In 2005 two more moons were discovered. They were named Nix and Hydra. Nix (originally spelled Nyx) was the mother of Charon, and Hydra was a many-headed serpent that guarded the underworld. Kerberos (spelled this way to distinguish it from the asteroid already named Cerberus) was the three headed dog that guarded the mythical entrance to the underworld. Styx of course is the mythical river that souls must cross in order to enter into the underworld. The new moons are very small (Styx is barely visible in this Hubble image). These moons aren’t much bigger than downtown Baton Rouge!